In your 40s and early 50s (if not sooner) you should be able to start enjoying the things you have worked so hard to achieve. Your investment portfolio should be growing, debts are being reduced, and disposable income is rising. Assessing your current financial situation and focusing on what you want your future to look like are two critical decision points which each client faces. 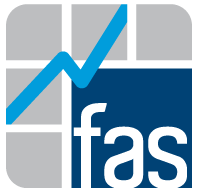 FAS will be your resource for analysis of each scenario, honest feedback from the analysis, and possible outcomes of each solution. You start to experience the fruits of your labors during this time. Your investment values should start to grow significantly, disposable income increases, and supporting your debt structure becomes less burdensome. It is at this moment your long-term financial plans reach a crossroads. You can continue to work at achieving your original goals or modify them to account for enhanced lifestyle expectations – retiring earlier, buying a second home, building your dream house, or possibly changing careers. FAS can help balance these competing objectives and quantify the long-term implications of these decisions. As a you begin to amass a significant nest egg, the investment philosophy is modified. During this phase of a your life you are still more concerned with capital appreciation than preservation, but also recognize large drawdowns due to market corrections which may have adverse impact on their retirement. As such, fixed income investments (bonds) start to make up a larger percentage of the portfolio, though the majority is invested in equity asset classes. However, as the you continue to save money, market downturns may also present opportunities to add to your equity positions. As retirement or other financial goals are still a few years away, you continue to focus on growing your portfolio through investment in more volatile equity assets.